In 2003, although I didn’t know it at the time, I got my first look at what I would later learn was called the Great Bear Rainforest on BC’s northwest coast. As a tourist visiting from England, I was traveling aboard a cruise ship bound for Alaska. I was amazed at the region I was traveling through and returned to the UK determined to learn more. Three years later my wife and I immigrated to Canada and set up home in the beautiful Comox Valley, hoping I could use it as a springboard to learn all about the BC coast. Since then, I have spent a great deal of time working with conservation charities up and down the coast. In the Fall of 2009, I had been doing some field work for the organization Pacific Wild, working with the Gitga’at community in Hartley Bay to establish live video from the bush back to a classroom in the village school. Using a wireless radio link connected to a computer in the classroom, pupils could then actually see and track bears and other wildlife along a river without disturbing them. On my day off, I got to accompany one of the top bear viewing guides in BC and Hartley Bay resident Marven Robinson, on a trip across to an island in Douglas Channel in the heart of the Great Bear Rainforest. I felt fortunate and privileged to be able to spend some time in the bush with Marven and to hopefully be able to see some spirit bears in the flesh, not just through the lens of the video cameras I had set up. As it would turn out, the experience is one that will stay with me for the rest of my life. I followed along on the trail and the word started to come back to remain very quiet—a bear had been seen already ahead, but we had to get around to a safe viewing area. As I made my way close to the edge of the fast flowing river I spotted a white fury leg in between some boulders and a fallen log. I made my way to our viewing area and there it was, feeding on pink salmon down in the river—my first adult spirit bear, seemingly unfazed by or unaware of our presence. Someone guided my eye across the river and there feeding in complete harmony with the white bear were two black bears, equally fixed on the salmon. The sight was mesmerizing and humbling and I could feel a lump in my throat. The scene was inspirational and I was pleased the work I had been doing was helping to spread the word about the vulnerability of BC’s wildlife. So as not to spook the bears, equipment had to be set up very quietly and our tightly packed group held our collective breath as a rapture of clicking cameras fired away, in the hope that the bears would not be disturbed by the new sound in their rainforest home. It is estimated that there are less than 400 of these white bears—which, genetically at least, are actually a black bear—in existence. They are born white due to a genetic anomaly, which must be present in both parents. In this part of the world, when you see a male or female black bear, it is impossible to tell from sight alone if it is carrying the gene that will produce a white cub. You may also see a black bear with white cubs or a white bear with black cubs. Spirit bears are only protected in a very small area of BC where no hunting of bears— black or white—is allowed. A collective of groups, including Pacific Wild, are working to improve this and it is hoped that before long these areas can be extended, as a hunter cannot tell if a black bear in his sights carries the Kermode gene or not. Recent studies have also shown that it is possible a spirit bear may have better luck feeding in a river than its black relatives. However, it is also thought that being white makes these bears at a higher risk to predation and maybe as a consequence, they are wary about showing themselves in the open. 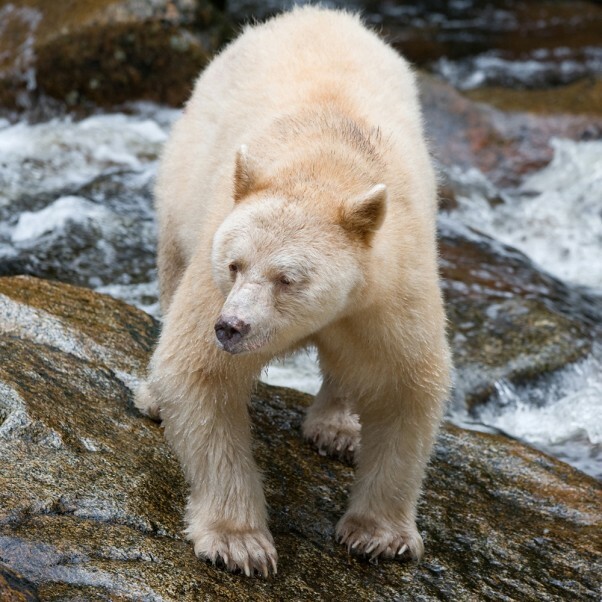 On the BC coast, as fall arrives in the Great Bear Rainforest, the salmon start to return to their native rivers and creeks to spawn and this is the best time to see spirit bears as they come out of the forest to feed on the salmon. As individual bears came and went during our visit, we were blessed with at least one bear—black or white—in view throughout most of the day. Twice a spirit bear passed within five metres in front of us as he travelled along the river in search of his next salmon. On one occasion, I counted six bears in view at the same time—four black and two white. We could not believe our luck; Marven could not believe our luck. On some occasions his guests only get to see a very short glimpse of a spirit bear, often through the bush. On a few rare occasions his guests haven’t seen anything. That is a fact of watching and photographing nature in the wild—nothing is guaranteed. But for me, even a day without seeing any wildlife in the Great Bear Rainforest is a good day. To see this area is a treat in itself; to see some of the many wonderful and rare creatures that inhabit it, and be able to capture them on film so to speak, is an added bonus. The region is truly a majestic, lush temperate rainforest. Besides its wildlife and birds, it is full of creeks, rivers and waterfalls with spectacular coastal shoreline and waterways. It is certainly a nature photographer’s dream location. To see and photograph these bears is a unique experience as there are so few of them. The use of a local guide or tour operator such a Marven is vital both for you the viewer, the wildlife and the environment you are in. Protection of the local habitat and wildlife is key and your guide or tour operator will ask you to work with them in ensuring this protection continues. They will not do anything to place you in any danger, while at the same time they will not allow you to carry out any practice that may endanger the wildlife or the surrounding habitat. Bookings for trips from Hartley Bay can be made with Marven Robinson (marvinrobinson@hotmail.com) and accommodation reserved in the village through Gitga’at tourism. This may need to be done well in advance—the season is not very long and vacancies are often at a premium. For a way to see more of the surrounding coastal rainforest, book with one of the many tour operators that frequent the area by boat, such as Ocean Adventures. Always plan for the weather—this area is not affectionately known as the Great Bear Rainforest for nothing. You will see rain at some stage and while this is not the most ideal conditions for photography, the rain is vital for the region and for encouraging the salmon back up river. On our journey back to the village, one of my companions said that at one stage by mid-afternoon, we had been so blessed with the attendance of the bears, that as he looked around, for a brief period, no one was photographing anymore. We were all just stood watching, enjoying the spectacle of the bears in their natural environment and enjoying their presence. This nice observation reminded me that it is always great to get some wonderful photographs, but you never know if or when the opportunity will arise again, so it is always worth taking a little time to enjoy and marvel at the splendours of nature, outside of the lens too. For more of Steve’s photos visit www.stevewphotography.ca. 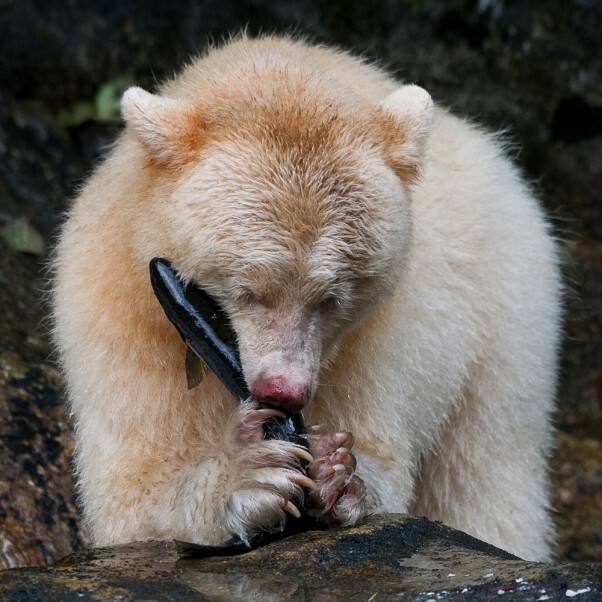 You can view a display of his spirit bear photos at the Comox Rec Centre from July 21-October 27. He is also part of the Pearl Ellis Gallery Members Show (People’s Choice) on display June 23 – July 12. For more about Pacific Wild go to: www.pacificwild.org. and gardeners are anxiously awaiting the warm summer sun so the gardening season can truly get underway. 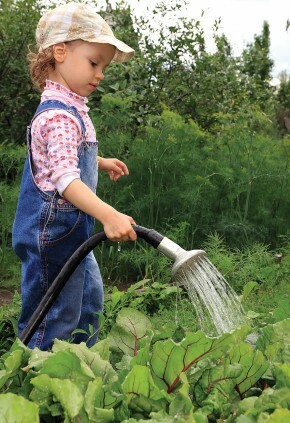 Most gardeners have planted their flower and vegetable gardens, so the annual chores of maintenance, watering and fertilizing are the talk of the day. To keep your hanging baskets and containers looking beautiful throughout the summer, water regularly and thoroughly. Plants in containers generally need to be watered more often than if they were growing in the ground. This is especially true for hanging baskets because they are subject to drying winds. In most areas you should expect to water hanging baskets every day, or even twice a day during a hot spell. Water should stream from the drainage holes when you water. Deadhead blooming plants. As the flowers fade and die, remove them by pinching them off where they meet the stem. This promotes the formation of new flowers, and doesn’t allow the energy of the plant to go into creating seeds. Fertilize regularly. Frequent watering washes out the nutrients from the potting mix. Follow the directions for the correct amount and frequency. Feed when the soil is moist, and never when the plants are wilting. If water streams from the drainage holes but the soil still seems dry, try either submerging the pot in a bucket of water for up to an hour, or adding a couple drops of a mild dishwashing liquid to the water, allowing it to penetrate the surface. When the plants start to look leggy and straggly, don’t be afraid to cut them back. Most common hanging plants, such as verbena, petunias and impatiens will produce a more dense and new growth. If you love to grow tomatoes, now is the time to ensure they are staked and ready to be tied to a solid support so when they start to produce their crop, the heavy weight doesn’t allow them to bend over and break. Be sure to remove the suckers that grow from between the branches and the main stem. This allows the tomatoes to grow to a larger size and the plant will be more prolific. Don’t allow the tomato plants to dry out between watering – consistent watering, pinching out suckers and fertilizing is the key to a successful crop. Once the rhododendrons and azaleas have finished flowering it’s time to clip off the spent flower heads. It’s a tedious job since you have to be very careful not to damage the new growth that is setting up for next year. This is also the time to water well and apply specific fertilizer for rhododendrons and azaleas. You’ll be rewarded for your efforts next summer with a beautiful display of color. Many gardeners are adding blueberry bushes and blackberries to their gardens. The nutritional advantage of these berries has been all over the news lately and there’s nothing nicer than walking out into your garden and picking a basket of fresh berries. Blueberries are acid-lovers and it’s important to get the PH down low enough to get a good crop. There are specific fertilizers for blueberries to aid in this task. Ask at your local garden centre which ones are specific for blueberries. Squash plants—particularly winter squash—are really rewarding vegetables to grow. Their lush leaves spread and hide the growing fruit. However, they have a way of taking over the whole garden. If you want to grow varieties like ‘Buttercup’ or ‘Hubbard’ squash, allow them to roam until later in the growing season when the vines have set all the fruit you want. Then start pinching off the last four to 12 inches of the main vine and its branchings. Or, if you’re a bit more limited for space but still love to grow squash, try the hybrid ‘Sweet Mama’—a buttercup-type squash. Its vines can be nipped off when they reach four feet and the plant will continue to produce fruit prolifically. 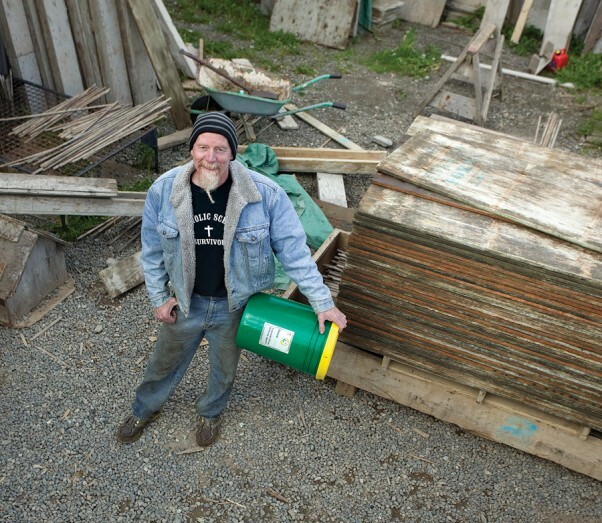 Remember, some of the best resources we have when we’re gardening are the people that work in the local garden centres. If you have a specific question about certain plants, or if you spot some damaged branches or leaves that look damaged, bring them into the garden centre and the staff will help you find out what the problem is. Even though our summer started out a bit more wet and cold than we usually like to see at this time of year, we could still be in for a hot dry summer, and the extra care you give your plants now will ensure you enjoy the rewards of a beautiful and prolific garden.